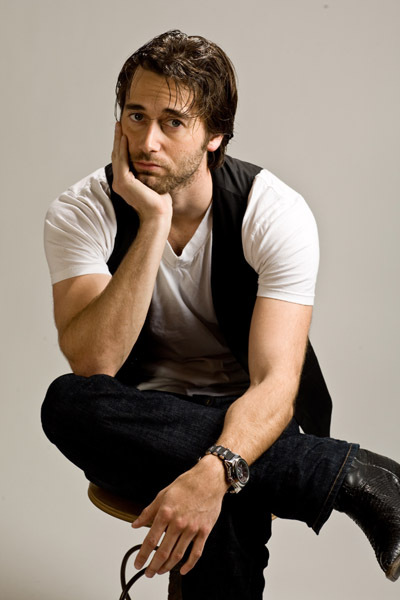 Ryan James Eggold is an actor born on 10th of August 1984 in Lakewood, California, USA, and is probably best known for his appearances in the CW teen drama series “90210” and NBC crime drama series “The Blacklist”. Have you ever wondered how rich Ryan Eggold is? According to sources it has been estimated that Ryan Eggold’s overall net worth is $3 million, earned by portraying roles in various films and TV series throughout the years of his acting career. Since he is still an active member of the entertainment industry, his net worth continues to grow. Ryan attended Santa Margarita Catholic High School, and later enrolled at the University of Southern California’s theater arts department. He expressed an interest in acting during his high school days, and so participated in numerous school theatre plays. After graduating from university, Eggold guest-starred in the comedy-drama series “Related” and so made his professional television debut. Ryan’s film debut came the same year, when he appeared in the short film “Con: The Corruption of Helm”. Before earning his first regular series role in the TV series “Dirt”, he portrayed a series of recurring roles in “The Young and the Restless”, “Entourage”, “Out of Jimmy’s Head”, “Brothers and Sisters” ,“Veronica Mars” and many other shows. All contributed steadily if unspectacularly to his net worth. Apart from acting on television, Ryan made his way to the theatre stage in 2006, by playing in the Ahmanson Theatre Group production “Dead End”, and after that in “Leipzig”. He even wrote, directed and starred in the “Amy and Elliot” production, performed at the Stella Adler Theatre. However, one of his most notable roles is that of English teacher Ryan Matthews in the teen series “90210”, the spin-off of “Beverly Hills, 90210”, which he played from 2008 to 2011. In January 2012 he started playing Adam Hunt in the supernatural romance thriller “Into The Dark” by Mark Edwin Robinson. His net worth continued to grow. His more recent activity includes another one of his well recognized roles, as Tom Keen, the main character in “The Blacklist” drama. Eggold also appeared in the History Channel’s miniseries “Sons of Liberty” in January 2015 , starring as Dr. Joseph Warren. Some other films Ryan appeared in include “Trophy Kids” (2011), “Lucky Them” (2013), “Beside Still Waters” (2013), “Fathers and Daughters” (2015) and others. Outside films, television and theater, he appeared in the music video for Shenae Grimes’ “Myself &I”. Ryan also starred in the web series “Daybreak” as a part of the main cast. Regardless, his net worth continues to rise. When it comes to Ryan Eggold’s private life, not much is revealed to the eyes of the public. He isn’t married, but one of his ex-girlfriends is Bruce Willis’ daughter, Rumer Willis, who was his colleague in the cast of “90210”. He is now apparently dating Hailey Bennett. Other than his acting talent, Ryan is interested in writing music, playing the guitar and piano and singing in band called “Eleanor Avenue”. He constantly writes screenplays as he now tends to dedicate himself to writing and directing. 1 Attended Santa Margarita Catholic High School, where he participated in many school plays and graduated in 2002. Grizzly Park 2008 performer: "Say That You Hear Me", "Carry Me Home"